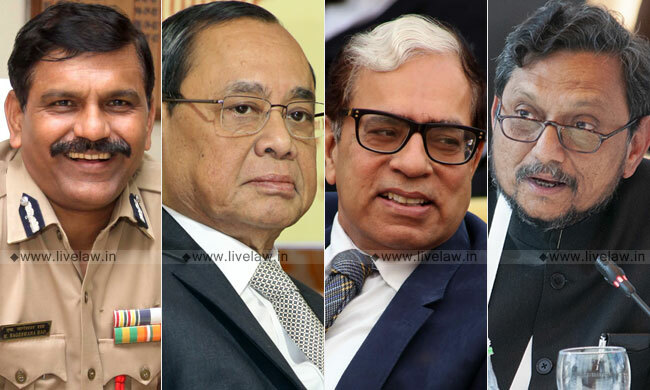 "We get a feeling that Your Lordships do not want it to be heard"
Said Senior Advocate Dushyant Dave to Justice A. K. Sikri last Thursday, perturbed at the latter's segregation of himself from the hearing on the challenge to M. Nageshwar Rao's continuation as the interim CBI Director, coming close on the heels of Chief Justice Ranjan Gogoi's recusal from the matter. The PIL by NGO Common Cause and RTI Activist Anjali Bharadwaj had come to be placed before the second senior most judge of the Supreme Court on January 24, after the Chief Justice saw it unfit to hear it himself in the wake of his impending participation in the meeting of the High-Powered Committee (to deliberate on the appointment of the probe agency's new Director) scheduled for later on the same day. In addition to nullifying Rao's appointment as the interim head, the petition also seeks for the decisions at the various stages of the process of shortlisting and selection of the Director to be publicized in the interest of transparency. Even as Justice Sikri abstained from spelling out the reasons for his recusal, his reluctance was apparent as stemming from the role he played in the erstwhile Director Alok Kumar Verma's ouster on January 10- Justice Sikri was the Chief Justice's representative on the Selection Committee, which also comprised PM Narendra Modi and the Leader of the Opposition Mallikarjun Kharje. Chief Justice Gogoi, having authored the earlier judgment calling upon the Committee to decide on the corruption allegations against Verma expeditiously and, in the meanwhile, reinstating Verma at the helm of the CBI's affairs, had refrained from himself taking part in the Committee's meeting. The NGO's petition was listed before the Chief Justice on January 21 "as per roster", after it was taken on board on being 'mentioned' by Advocate Prashant Bhushan on January 16, on which occasion an urgent hearing was hands down denied. Finally, when the case came up on the docket before himself, Chief Justice Gogoi had by a judicial order required it to be heard by Court 2. With several quarters having henceforth been abuzz with an anticipation of a successive recusal by Justice Sikri, One would wonder if the Chief Justice could have been more cautious in listing the petition before the former. Justice Sikri's recusal could be said to have been even less unprecedented in the face of the very recent happenings where, despite the knowledge of him being formerly chosen for the post of the Chairman of the prestigious CSAT, he was nevertheless nominated to the Selection Committee by the Chief Justice. When his vote happened to be determinative of Verma's divestiture, it was widely alleged that the lucrative post-retirement job by the government was perhaps consideration for this outcome. Immediately, amidst such speculations, Justice Sikri had declined the offer of appointment to the London-based CSAT. At an event last week in Delhi, veteran journalist Rajdeep Sardesai had quizzed (retd.) Justice Madan B. Lokur on the Chief Justice's recusal from Common Cause's petition, in response to which the former judge had asked rhetorically, "Do you expect the Chief Justice to consider the issue and then subsequently participate in the meeting (for the appointment of the new Director)?". Sardesai, unrelentingly, had further taken to ask that if the Chief Justice had deemed it appropriate to hear the earlier challenge to Verma's sudden removal at the behest of the government, when even at that point he was to eventually participate in the Selection Committee's meeting, why did he envisage a conflict in respect of the latest plea. "Well, now that the Chief Justice has already decided that matter, what now? ", Justice Lokur had remarked simply. In these circumstances, what one could find slightly bewildering is that if the Chief Justice acknowledged the impropriety of his hearing Common Cause's PIL, did he miss the conflict at Justice Sikri's end? After all, it could be said to be a consequence of his deciding vote on January 10 that Rao continues as interim Director. As not entirely unforeseen, when the case came up before Justice Sikri last Thursday, the judge relayed his decision to recuse and refused to budge, even as both Mr. Dave and the Attorney General assured him that they were unfettered by his participation in the meeting of January 10. "We wanted the matter to be heard early but that was not allowed. Finally, when it came to be listed before the Chief Justice, he recused...If Your Lordship felt that you could not hear it, then you should have recused a day before and not when the matter comes up...The meeting (of the Selection Committee for the appointment of the CBI Director) is today and we wanted Directions! This will mean nothing after the meeting!...This court went out of its way to issue directions to convene a meeting to remove (Alok Verma). Then the Committee did not meet for three weeks! Now the court is silent and the government is silent? ", Mr. Dave had contended vehemently. Stating that if the petition had come to be listed before him by administrative order, he would have recused earlier, Justice Sikri had been inclined to have it heard by an "appropriate bench" as per the Chief Justice's orders immediately on the following day. With Justice S. A. Bobde, next in seniority to Justice Sikri, being on leave since last Friday, the PIL is likely to be now heard on February 1. In the meantime, the government has already prepared a list of eligible candidates for the post of the CBI Director for the benefit of the Committee which is expected to assemble on January 30 or 31.